I recently attended BloggerBash NYC 2015 for the first time ever and this is the haul of goodies I got from attending the 2nd day. I wasn’t able to attend the first day, but I had so much fun that I definitely will attend both days next year!!! 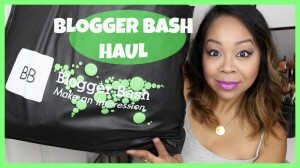 Watch my BloggerBash Vlog here.